The fourth Macdonough was projected as DL-8 but redesignated DLG-8 prior to keel laying by the Fore River Shipyard Bethlehem Steel Co. Quincy Mass. 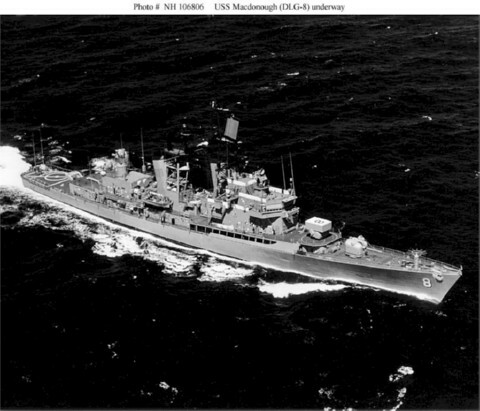 16 April 1958; launched 9 July 1959 sponsored by Mrs. Agnes Macdonough Wilson great-granddaughter of Commodore Thomas Macdonough; and commissioned 4 November 1961 Comdr. Wm. G. Hurley in command.